In January 2008, Dr. Jimmy H. C. Lin (1919-2009), a beloved, longtime Professor in the Department of Electrical and Computer Engineering (ECE) and a prolific inventor, created the Jimmy Lin Fund for Innovation and Invention with a generous gift. The goal of the gift was to support an Innovation Award for ECE students, staff and faculty that would stimulate, encourage and reward the invention and patenting process, and help students, staff and faculty move their ideas forward through the complicated and often expensive patenting process. After Dr. Lin passed away in 2009, a new endowment in Dr. Jimmy Lin's name was made possible by a generous gift from his wife, Mrs. Anchen Lin. Mrs. Lin made a donation in 2011 to the University of Maryland’s A. James Clark School of Engineering to endow a new fund in her husband’s name, the Jimmy Lin Endowment for Entrepreneurship. The purpose of the Jimmy Lin Endowment for Entrepreneurship is to provide annual awards to students, staff, and faculty who transform their ideas into innovations through invention and technology commercialization. Professor “Jimmy” Lin was a beloved professor of Electrical Engineering of University of Maryland, known for not only his energy and dedication—he missed just one class over 30+ years of teaching—but also for his innovative ideas. A pioneer in circuitry and semiconductor development, he held 57 U.S. patents. His inventions are widely used in most integrated circuits ranging from sophisticated industrial products to PCs, cell phones, wireless microphones, and audio amplifiers. His inventions, awards, patents, certificates, were all well preserved in the University Archives. He retired in 1990, then served as professor emeritus, mentoring junior faculty. One of them, Martin Peckerar, now a full professor, said that Professor Lin “bubbled over” with ideas and believed true innovation happens at the grassroots level in small business. His contributions will continue to synergize entrepreneurship efforts at the University of Maryland. In 2008, Professor Lin initiated an endowment of the Jimmy Lin Award for Innovation and Invention, for students, staff and faculty in the A. James Clark School of Engineering to get their inventions into the marketplace. Following his death in 2009 at age 89, his widow, Anchen Lin, established the Hung Chang and Anchen Lin Fund to further his legacy as an advocate of innovation and entrepreneurship. In 2010, she established the Jimmy Lin Endowment for Entrepreneurship, which provides annual awards to the teams from ECE that placed highest in the University’s annual Business Plan Competition and the Invention of the Year contest, and a third award supports internships with startup companies in the University of Maryland-China Research Park. In 2011, she started the Jimmy Lin Entrepreneurship Scholarship for 10 ECE graduate students yearly, who earned their undergraduate degree at Jiao Tong University, Lin’s alma mater, and from campuses both in China as well as in Taiwan. She also donated Prof. Lin’s papers, patents, and memorials to University Archives at Hornbake Library for future generation of researchers. In 2012, she gifted the Dr. Jimmy Lin Conference Room in the A. V. Williams Building, featuring a timeline of his inventions and how they benefited our everyday life, to further inspire future generation of students to follow in his footsteps. Ms. Anchen Lin's continued generosity has enabled the Lin Endowment to be recognized as a $1 Million Dollar Donor. In 2016, her latest gift was the 307 Lab: The Jimmy H.C. Lin Electronic Circuits Design Lab. ENEE307 was Dr. Lin's favorite courses to teach, and the lab is a state of the art electronics lab with the latest equipment and course material. In 2016, her latest gift was the 307 Lab: The Jimmy H.C. Lin Electronic Circuits Design Lab. ENEE307 was Dr. Lin's favorite courses to teach, and the lab is a state of the art electronics lab with the latest equipment and course material. A dedicated and popular instructor who only missed one class in over 20 years of teaching in College Park, Dr. Jimmy H. C. Lin joined the University of Maryland as Professor of Electrical Engineering in 1969. He retired in 1990, and has since served as Professor Emeritus. Well known to his colleagues for his abundant energy, his career has spanned more than half a century and has been punctuated with many patent rights, honors, and awards. He received the B. S. in Electrical Engineering in 1941 from Chiaotung University in Shanghai, China. He was an avid tennis player, and made his way through college on a tennis scholarship. Before leaving China in 1947, Dr. Lin was an engineer at the Central Radio Works and Central Broadcasting Administration. In the United States, he received the M.S. degree in 1948 from the University of Michigan and Doctor of Electrical Engineering in 1956 from the Polytechnic Institute of Brooklyn. He was one of the first scientists at RCA Laboratories to work on transistor circuit development. The technology evolved rapidly, and he was the first inventor to incorporate p-n-p or complementary integrated circuits. His industrial experience also included research and development positions at the Hytron Division of Columbia Broadcasting Systems and Westinghouse Electric Corporation. His most well-known contribution is the invention of the lateral transistor that is used in most linear integrated circuits and digital integrated circuits. His early study of the temperature effects led to the use of diode compensation configuration, which is now widely used in transistor amplifiers. It is a little known fact that the output (or Totem) driver used to control the speakers in every audio system was invented by Professor Lin. 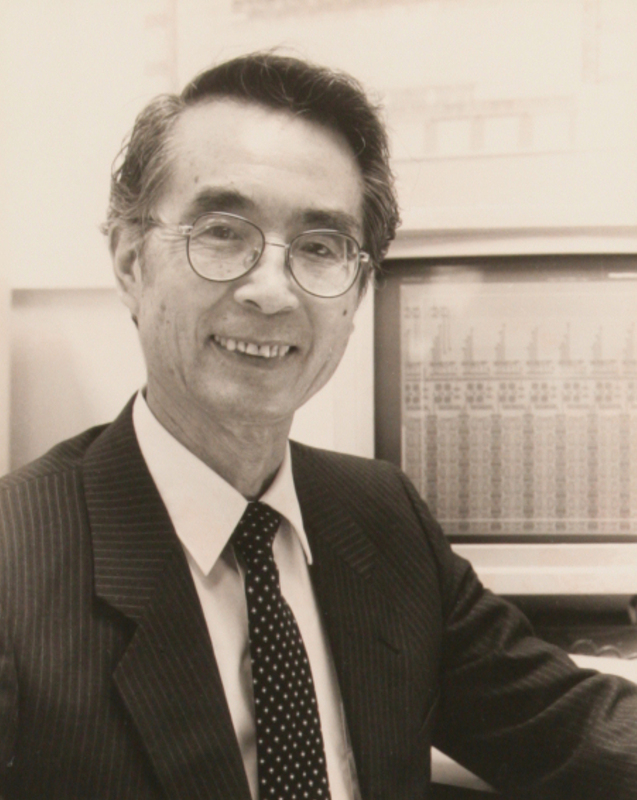 Dr. Lin was inducted into the Clark School of Engineering Innovation Hall of Fame in May 1990 in recognition of his significant inventions and contributions in semiconductor devices and integrated circuits. The holder of 57 U.S. patents, he is known in particular for the invention of the quasi complementary amplifier used in most commercial audio amplifiers and for the lateral transistor used in most linear integrated circuits.He is the author or co-author of 170 technical papers, author of the book “Integrated Electronics,” and co-author of three other books: “Selected Semiconductor Circuits Handbook,” “Semiconductor Electronics Education Committee Notes 1,” and “Electronics Designers Handbook.” In 1978, IEEE presented him with the J.J. Ebers Award. He was elected a Fellow of the Institute of Electrical and Electronics Engineers for contributions to semiconductor electronics and circuits and pioneering of integrated circuits. In the academic field, he was a part-time Adjunct Professor at the University of Pittsburgh, Visiting Lecturer at the University of California at Berkeley, and since 1969, has been a Professor at the University of Maryland, later Professor Emeritus.